Having your iPhone screen replaced by someone other than Apple will apparently no longer void the device's warranty, according to internal memos seen by MacRumors - although there are some caveats. That means if you got your cracked screen swapped out by your local repair shop, Apple is still going to fix any other issues that crop up down the line. Previously, once you replaced your display using someone other than Apple, you were on your own. As we said though, there are conditions: any future repairs must be non-display related, so if you want Apple to fix a botched screen repair job done by someone else, then you're still going to have to pay full price. And of course your device must still be under warranty, whether that's AppleCare or Apple's standard one-year deal. While Apple hasn't made any official announcement yet, it's good news for iPhone users who've made use of their local repair shop to replace a cracked screen or deal with some other issue - Apple will still look after the other parts for you. 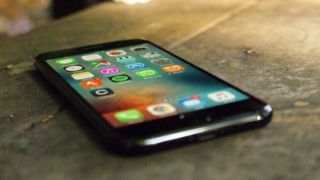 Any other third-party repairs are still going to void your warranty though, so expect to get charged full price to get your iPhone fixed by Apple if another firm has previous done any work on the device or replaced any of the components. MacRumors says the memo applies to repairs in the US and Canada, with other regions probably included too, but we'd double-check with your local Apple Store before you take your broken iPhone in to make sure. Is the next iPhone going to ditch Touch ID completely?